An epic true-tale of hubris and greed from two Wall Street Journal reporters, detailing one of the greatest fraud stories in history--how a young social climber embezzled billions of dollars right under the noses of the global financial industry, exposing the shocking secret nexus of elite wealth, banking, Hollywood, and politics. The dust had yet to settle on the global financial crisis in 2009 when an unlikely Wharton grad set in motion a fraud of unprecedented gall and magnitude--one that would come to symbolize the next great threat to the global financial system. The nuts and bolts of the scheme were shockingly simple: A young, big-talking, huckster persuaded the Prime Minister of Malaysia to create an investment fund that he would direct from the shadows, raised more than ten billion dollars from global investors with the aid of Goldman Sachs and others, and over the next half decade siphoned off no less than $5 billion: money used to finance elections; to purchase luxury real estate in London, New York, and Los Angeles; to produce Hollywood films, including The Wolf of Wall Street--and to throw champagne-drenched parties around the world. Low's largesse also won him friendships with Hollywood actors, Victoria's Secret models, and even with a member of President Obama's inner circle. More staggering still, no one seemed to notice--not the global banks, such as Goldman and J.P. Morgan, who turned a blind eye to shady transfers of hundreds of millions of dollars; and not the international auditors, central bankers, and official financial-system watchdogs. At the center of this fraud was Jho Low--a character so preposterous he seems made up. Federal agents who helped unravel Bernie Madoff's Ponzi scheme say the Jho Low affair, when its full contours become known, will become a textbook case for tracking transnational fraud in the modern age. 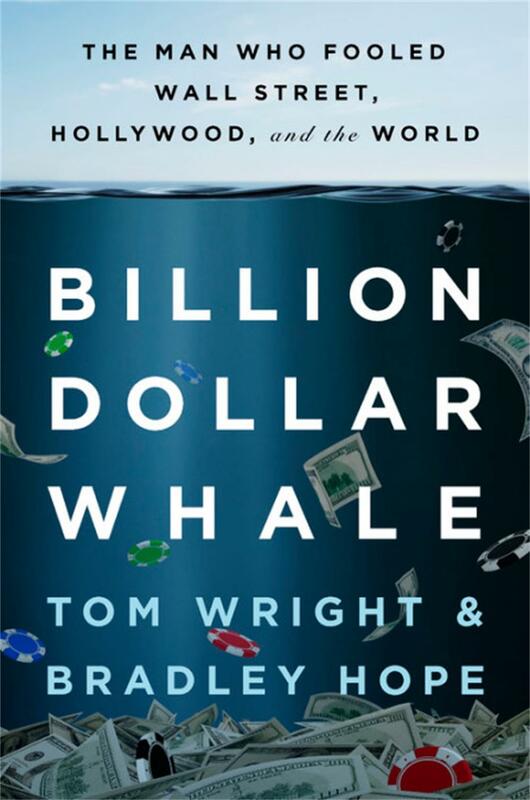 BILLION DOLLAR WHALE will become a classic, harrowing parable about the financial world in the 21st century. Tom Wright was one of the first journalists to arrive at the scene of the raid in which Navy SEALs killed Osama bin Laden. In 2013, he spearheaded coverage of the collapse of the Rana Plaza factory in Bangladesh, which killed over 1,000 people, earning the Wall Street Journal a Sigma Delta Chi award from The Society of Professional Journalists. He is a Pulitzer finalist, a Loeb winner, and has garnered numerous awards from the Society of Publishers in Asia, which in 2016 named him "Journalist of the Year." He speaks English, Malay, French and Italian. Bradley Hope has worked for the Wall Street Journal for the last four years, covering finance and malfeasance from New York City and London. Before that, he spent six years as a correspondent in the Middle East, where he covered the Arab Spring uprisings from Cairo, Tripoli, Tunis, and Beirut. He was detained by authorities in Bahrain, reported from the front lines of the Libyan civil war, and has been teargassed in raucous Egyptian protests. Bradley is a Pulitzer finalist and a Loeb winner, and also author of Last Days of the Pharaoh, a chronicle of the final days and hours of the presidency of Hosni Mubarak. Great read. Riveting and in depth with an entertaining style. Funny as hell to boot.